The Art of... Soap Making | The Art Of | Kids VT - small people, big ideas! Darci Benoit calls herself a queen bee — a fitting moniker for this busy beekeeper and crafter of body-care products. The Swanton resident, along with husband B.J. 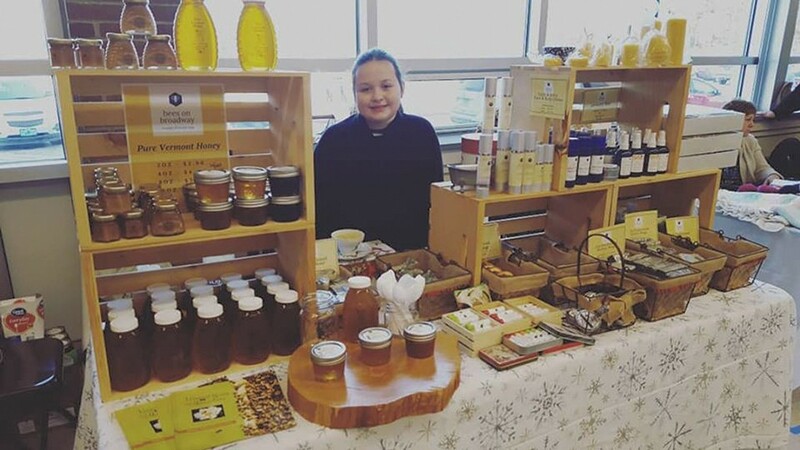 and 10-year-old daughter, Amelia, first acquired bees six years ago and now owns half a dozen hives. Benoit began selling her honey-and-beeswax-based lip balm at craft shows five years ago. Two years ago, she added soap to her repertoire. And in August, she opened a shop — Bees on Broadway — in downtown Swanton, where she sells honey, body creams, masks and salves, and showcases artwork from the Swanton Arts Council. Benoit has been experimenting with creating body-care products since her teen years. "Much to my mother's dismay, I made very messy things," she said. 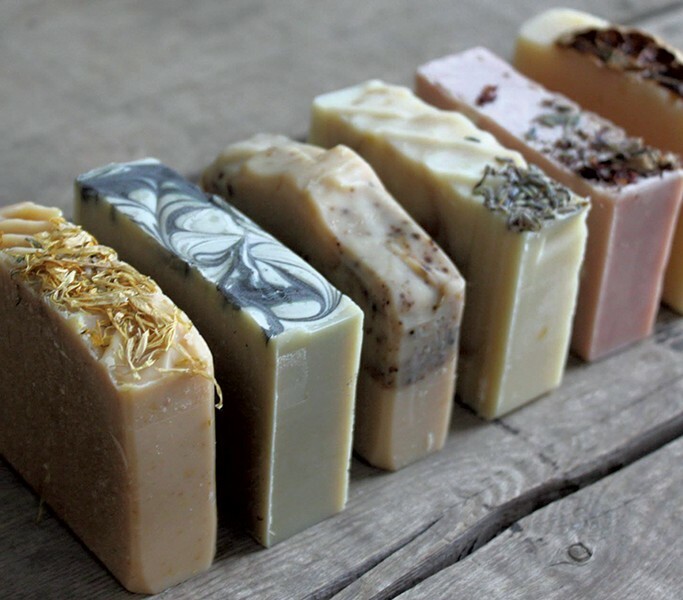 Benoit's primary soap-making method, called cold process, uses a combination of oils, butters and waxes. When lye, an alkali, is added to the mixture, a chemical reaction called saponification occurs, which changes oils into soap. After a curing, or drying, process of at least six weeks, no lye remains. "The longer the cure time, the better the soap. It's a labor of love and patience," she explained. 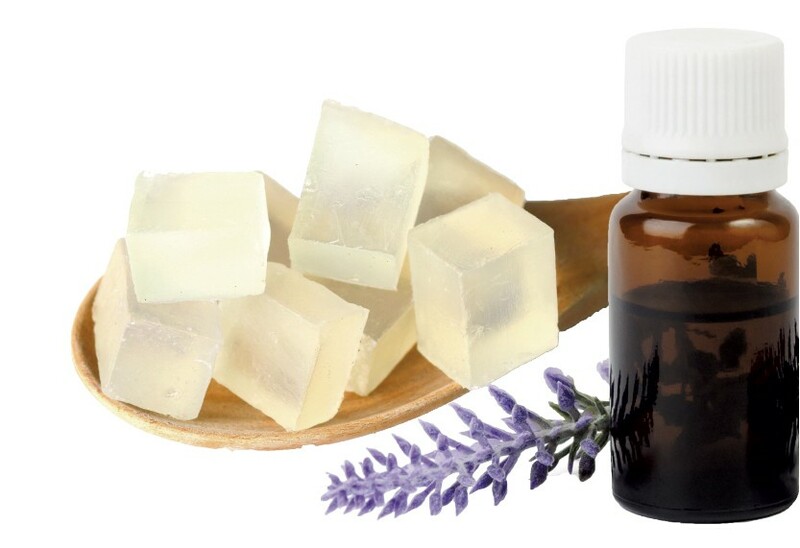 For novice soap makers, Benoit recommends a simple recipe that uses a melt-and-pour soap base — a premixed combination of blended oils and other ingredients. Variations range from goat or coconut milk to clear glycerin. Beginners can simply melt this solid substance, bypassing the complicated blending process. The soap base can be purchased at craft stores like Michaels or online at sites including bulkapothecary.com and newdirectionsaromatics.com. When her store opened, local families requested soap-making classes for kids. Enrollment for her first class in January — which taught kids to create custom-colored, fragrant soaps to take home — filled quickly. A second class is slated for Saturday, February 9. While Benoit is keeping mum about the secret recipe behind her cold-process soaps, she shared this easy recipe, perfect for families looking to create unique, handcrafted soaps for Valentine's Day gifts. The recipe is such a snap that her daughter concocts batches on her own. In a microwave, melt the soap base using 10-second intervals. Do not overheat. The mixture should be just melted. Then mix in essential oil. Pour into silicone or plastic molds. Candy molds or cupcake molds work well. Sprinkle dried flowers on the warm tops and lightly press petals into the soaps. Let cool for at least an hour before removing soap from mold. Sign up for Benoit's February soap-making class at the Bees on Broadway Facebook page (facebook.com/beesonbroadway/). For more info, visit beesonbroadway.net.